Go HERE to download the Scripture cards for week 5. Do you ever get in a rut? A creative rut? A household management rut? A working out rut? I have felt like a creative rut is taking over and I'm trying so hard to not let it. Sometimes I just don't want to be creative. BUT most often I feel that if I don't have time to be creative I will go crazy. Trying to balance those two opposites is difficult at best. It's like most things in life, finding a true balance is almost impossible...at least for me. So I guess if I just work on spending less time in rutville and more time down creative alley I won't feel disappointed or be easily irritated. How do you get out of a creative rut? So while in my rut, I created these cards for you. 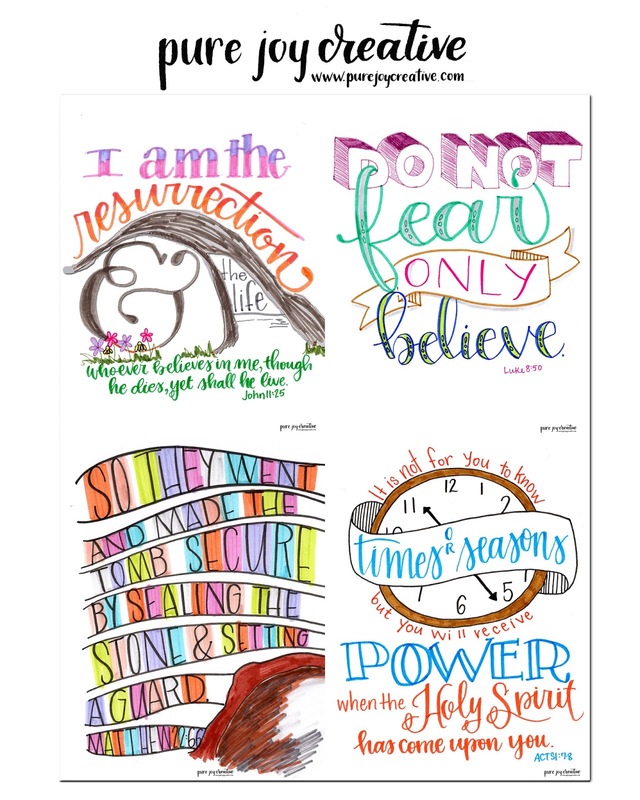 I hope you like them and I hope you can enjoy them and use them in your Bible, as encouraging notes around the house or just little things to put in a card for your friend. There are so many ways you can use these cards! Don't forget to head over to my etsy store to pick up some Easter goodies! I love the scripture cards. I'm able to place them around my house and my desk as a constant reminder. I also printed them in black/white so I can color them as I ponder the scriptures.